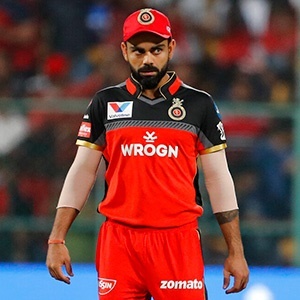 Cape Town - The Royal Challengers Bangelore chopping and changing their side for every Indian Premier League (IPL) match has begun to receive a lot of criticism after their poor start to the tournament. Bangalore are rock bottom of the standings after losing all four of their opening matches in the IPL. They have had a different XI in each of the matches, not only changing personnel but also sending people up and down the batting lineup seemingly on a whim. Captain Virat Kohli, however, defended their selection policy and strongly inferred that they would continue to make changes until they found a winning combination. "This tournament is not that long," Kohli said. "It's not going to go on for months. This is a month-and-a-half or a couple of months maximum. You have to be on the eight ball. You have to think on your feet. You have to think of the best possible combination going forward. We will definitely sit down and consider talking about what we can do. What can we do to get the balance right. "Hopefully get some fresh guys in and they can make some cracking match-winning performances for us and get the team going. That's an important factor: to think on our feet. Not necessarily worry about the other stuff. Just focus on the best XI we can take on the park and be competitive every game. "We have 10 games to go. If we start turning things around pretty soon, then we can get on a roll as well. We have to keep believing as a side." Bangalore will face next the Kolkata Knights Riders on Friday at 16:30 SA time.